The question of the hour is "WHAT ON EARTH IS GOING ON?" 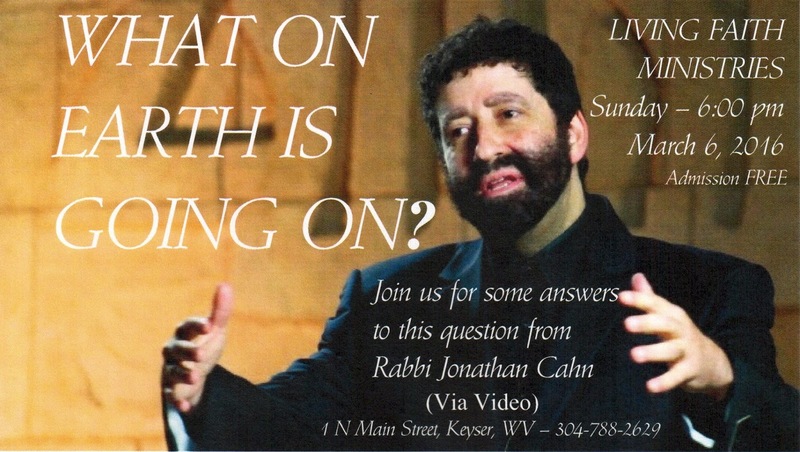 Living Faith Ministries is proud to present a video presentation of Jonathan Cahn answering this question. Bring the inquisitive as well as the believer to this special presentation.